Camel Pawn Shop Fine Jewelry has affordable diamond engagement rings and wedding bands for women and to suit your special someone. We have a wide variety and selection of ring styles to fit any budget and any personality. We're known for our competitive prices and product value and for our expert and friendly service. If you have unique demands for your engagement ring, we can accommodate the most discriminating tastes and budgets. 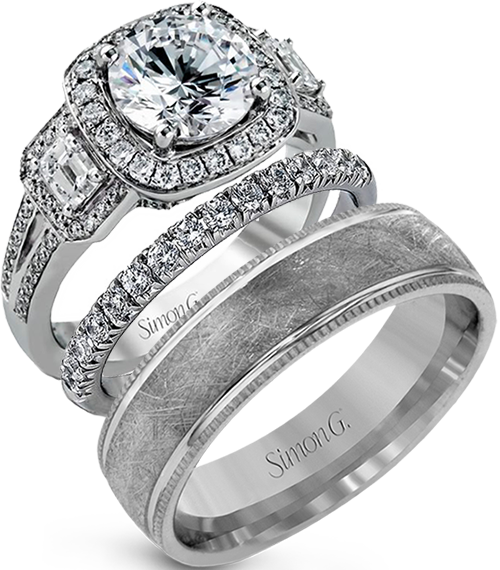 We believe that our engagement rings and wedding bands are the best in the Triad area. Our mission is to provide the finest quality at the best price. If you are looking for a store with a large variety diamond engagement rings in NC, Winston-Salem is within easy driving distance from Charlotte, Greensboro, High Point and Raleigh. Our motivation is to help you demonstrate your love for that special someone and we're grateful you chose to celebrate that with Camel Pawn Shop Fine Jewelry. Buying an engagement ring is a big decision and we will eliminate the confusion and guide you through the ring process to ensure you find the right diamond engagement ring.